The new and approved saari seating collection brings sophisticated designs to the interior designing. This new collection of saari seating is approved and developed and suits to the each corner of hotels, bars, all these seating collection is design to provide comfort, embellishment, and durability. Saari seating collection is contemporary with its sophisticated outlook and seating capacity. All Saari seating collections are customizable owing to their range of themes and colors. The wood and other leather frames are subject to wide range and they are more soothing with basic selection of colors. Apers’s saari seating collections are available in two, three, sophisticated furnished preferences of cushions. All steel braces can be furnished with lacquer, chrome, or other bases. All chairs are also design to provide side-based comfort also. All saari collections can be brought with different arrays of colors. So will you not want to bring this ultimate designing to your home? Beautiful sofa sets for living room and chairs for dining room. 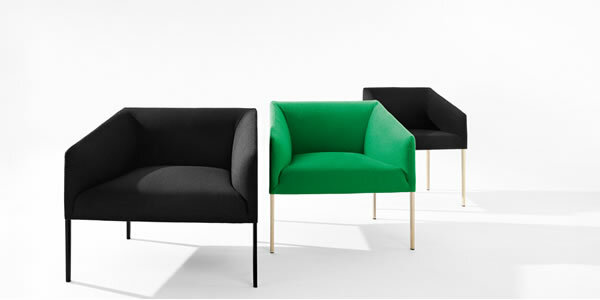 Black and green chairs from Saari Seating Collection.